Published: 2013-01-07, by Manu Galvez. "Oh gosh, my iOS is full of bluffers!" 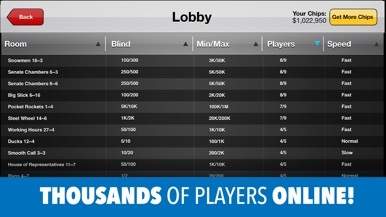 VIP Poker is an online poker lobby, perhaps not as famous as Pokerstars or Zynga Poker, but with everything that poker player needs to play and improve their skills. Don't mind if you’re a beginner or a Pro player, there are different level and different size tables (5 or 9 players). Just search in the lobby the one that fits you. 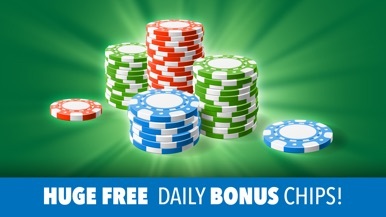 You get free chips everyday for playing, however, better if you win cash parties or tournament for increasing your bankroll, otherwise you won’t be able to play once you run out of chips (until you get more next day). You can also buy extra chips with real money (in-app purchase). 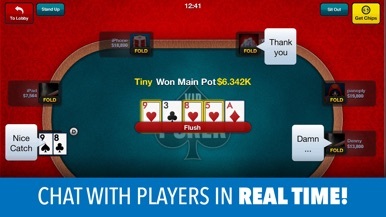 There are coming up hundreds of poker rooms for playing on smartphones. The added value of VIP Poker is its simplicity. In other words, it got just the needed buttons for playing. So the controls are intuitive: really easy to get the hang of it. 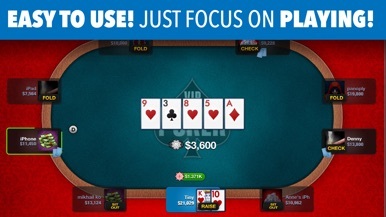 There’s no need to create an account for playing VIP Poker, phone-number-based profile. Thus, you can play against other players from around the World, no matter if they’re using Android or iOS. Customize your avatar and raise it up. 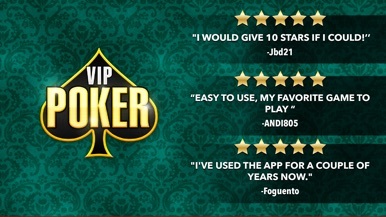 VIP Poker has been developed by TinyCo, an emerging developer focus on gambling games.